In my recent quest to nullify months years of junk food, ultra-late nights, fizzy drinks and buckets-full of coffee, I recently came across some surprising information on green tea. Seems that you don’t always have to actually drink the stuff to reap its benefits. Green tea also works superbly as a topical beauty ingredient, with skincare benefits that range from busting hormonal acne to warding off wrinkles and saggy skin. No wonder then that every major beauty brand, right from Estee Lauder to L’Occitane, is rushing to include this potent plant in their formulations. But what if we can just get the benefits straight from the source? After all, green tea is one of the most easily accessible products almost anywhere in the world. I have been trying these ancient beauty recipes (most come from 2,000-years-old Chinese and Japanese books of medicine, where green tea is known as “green jade”) for a fortnight now and can personally vouch for their effectiveness. My skin has never recovered so fast before and is thriving in an anti-ageing, zero-acne, pollution-free sanctuary. What it does: Flushes out toxins from the skin, helps heal blemishes and soothes the complexion. The science: Green tea contains catechins, which are anti-bacterial agents that suppress acne-causing bacteria and help regulate hormonal imbalances. It also possesses potent anti-inflammatory properties that help reduce the redness and inflammation brought about by zits, thereby helping them heal sans the scars. How to: Mix 1 tablespoon of powdered green tea with an egg white and 1 teaspoon of pure honey; whip everything together with a fork. Apply the mixture to your face and leave for about 30 minutes. Then rinse it off and apply a moisturizer. What it does: Stops the signs of premature aging – like loose skin, wrinkles, age spots and fine lines – while making the complexion more moist and supple. The science: The EGCG compounds in green tea can actually reactivate skin cells that are dying due to poor lifestyle habits, exposure to sunlight and pollution. Plus, it contains high level of oligomeric proanthocyanidins – OPCs – some of the most powerful antioxidants known to scientists. These antioxidants help ward off premature aging by fighting free radicals and healing damaged cells. And that’s not all: OPCs also inhibit the enzymes that break down collagen and elastin, which are essential for skin’s strength and suppleness. How to: Combine 3 tablespoons of full fat yogurt with 1 tablespoon of ground green tea leaves. Apply on the face for 20 minutes, then rinse well. What it does: Removes dirt and impurities from your pores. The science: The slightly abrasive texture of dry green tea leaves acts as a great exfoliator to banish dead skin cells and purge pollutants. How to: Mix 1 tablespoon of dry ground green tea leaves with enough honey to make a thick paste. Apply this paste all over your face and leave it on the skin for 10-15 minutes. Then rub it off in circular motions with your fingertips, rinsing away the excess with warm water. What it does: Moisturizes, relaxes muscles, plumps wrinkles, eliminates toxins, dislodges dirt from pores and boosts circulation. 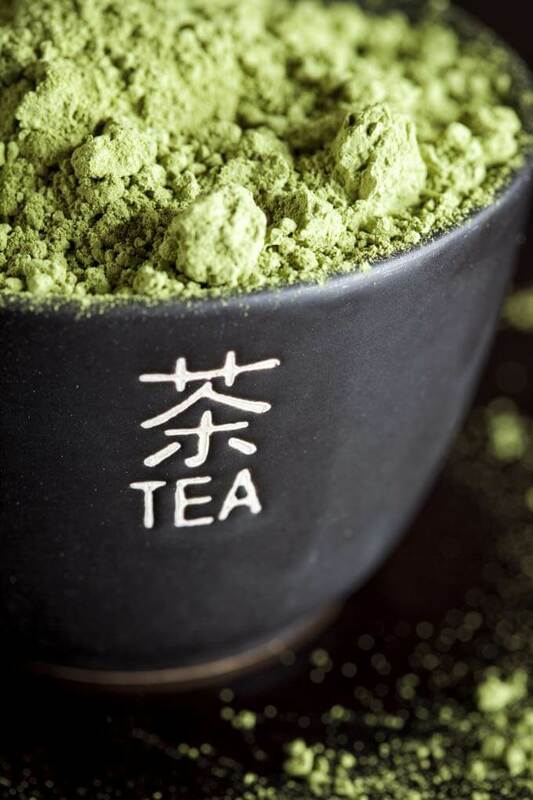 The science: Green tea is rich in antioxidants and catechins, which are propelled into your pores by the action of steam, thereby detoxifying, cleansing, refreshing and hydrating the skin. How to: Put 1/8 cup green tea, 1/4 cup dried organic lemon balm and 2 tablespoons dried organic peppermint (double the quantities if using fresh herbs) in a bowl. Pour boiling water over the mixture, immediately placing a towel or lid over the bowl so that the oils don’t escape. Place the bowl on a table and hold your face over it, covering your head and the bowl with a large towel to make sure that no steam can escape. Keep your eyes closed and breathe deeply to inhale the therapeutic properties of the herbs. Steam for 5-10 minutes, depending on your comfort factor. What it does: Soothes and calms the skin, reduces itching and inflammation, while simultaneously tackling cuts, scrapes and other blemishes. The science: Green tea has substantial anti-inflammatory properties, which make it an ideal beauty ingredient for sensitive skins. Herbalists have used cooled it for years to reduce itching and inflammation, and as an emergency first aid treatment to ease bleeding from small cuts and grazes. People with skin conditions such as psoriasis, rosacea, and dandruff, which are caused by inflammation, may benefit the most. How to: Steep 5 teaspoons of green tea and 1 teaspoon of mint leaves in a cup of boiling water. Let the infusion stand for at least 10 minutes, then strain and allow to cool completely before pouring the water into a glass container. Now you can either soak cotton pads in this concoction or pour it into a spray bottle, from which you spritz your face 2-3 times a day. What it does: Soothes the body and clears the mind, making it perfect for a pre-bedtime ritual. The science: There is a reason green tea appears as a key note in so many perfumes. Its fragrance has therapeutic values which create a feeling of balance, inner peace and serenity. How to: Put some green tea leaves in a coffee filter (or a muslin handkerchief), gather the top, and tie it with a string. Drop it into your warm bathwater and chill out! What it does: Eases tired, puffy eyes and busts dark circles. The science: Green tea contains vitamin K, which is a proven ingredient in the battle against dark circles and puffy eyes. How to: Chill a cup of green tea in the refrigerator. Dip 2 cotton balls in the cool tea and place them on your closed eyelids. Sit back and relax for 10-15 minutes. As an alternative, you can swap the cotton balls for chilled, used tea bags. What it does: Green tea can help soothe and heal sunburnt skin if applied directly to affected areas. The science: Several scientific studies have proven green tea’s ability to neutralize the damage done by exposure to UV rays. This is a result of its high concentration of tannic acid, theobromine, and polyphenols – all of which ease inflammation and repair sun-damaged skin. How to: Prepare a pot of green tea and chill it in the refrigerator. Use a cloth to apply the liquid to sunburnt areas – avoid rubbing; use the cloth as you would a cold compress. What it does: Green tea is also known for its ability to prevent bad breath – and it has the added advantage of tasting good if swallowed inadvertently. The science: The natural fluorides in green tea curb mouth odor and help prevent plaque-forming microbes from attaching to the teeth. How to: Pour 1 cup of boiling water over 4 tablespoons of green tea and allow them to infuse for at least 30 minutes. 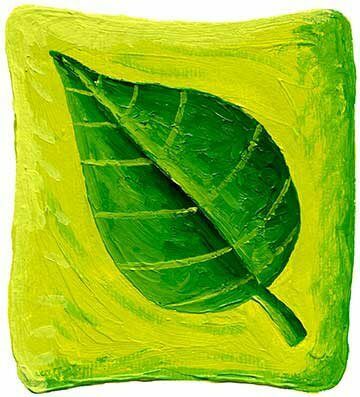 Then strain out the leaves and make a paste using this liquid and one teaspoon of baking soda. Use this paste to brush your teeth as usual. What it does: Protects hair from pollution and harsh products, while making it strong and shiny. The science: Not only does green tea help ailments such as dandruff and psoriasis by reducing inflammation, it also stimulates hair growth and softens the strands. This happens due to high levels of panthenol, vitamin E and vitamin C, which are all well established hair conditioners. How to: Steep 3-4 green tea bags in 1 liter of boiling water for about an hour. Let it cool and use the liquid as a final rinse after you’ve shampooed and conditioned. Great tips.. I have never used green tea facial stuff .. will it suit computational skin ? Great information! There is no end to the skin care benefits of green tea. Green tea work great to treat acne without any scar. Green tea is a natural healer, and the unrefined sugar crystals in it exfoliate and saturate the acne to break it down. Thanks for sharing this.